Please click here to sell your Karl Albert painting or receive a free art evaluation of your piece. Click to review some of the paintings we've recently purchased by Karl Albert. 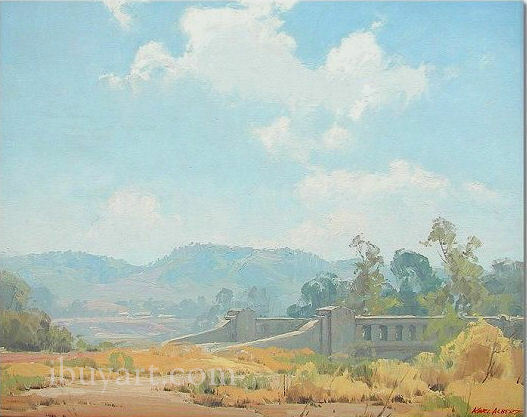 KARL ALBERT (b.1911) California Landscape Artist & Plein Air Painter. Karl Albert grew up in Wyoming and began painting about 1930 while working as a postmaster in Oro Grande, a small town in the Mojave desert. Albert first studied with EDGAR PAYNE & SAM HYDE HARRIS followed by study at the Art Center School in Los Angeles. Before 1960 he painted Impressionist canvases in plein air, but after that time he confined his painting to his studio producing works in a much tighter style. 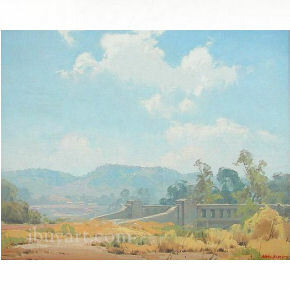 His subjects include desert landscapes and scenes of the foothil near Pasadena. MEMBER: Grand Central Art Gallery, NYC; Laguna Beach AA; San Gabriel Artists Guild. Karl Albert biography provided by Edan Hughes.